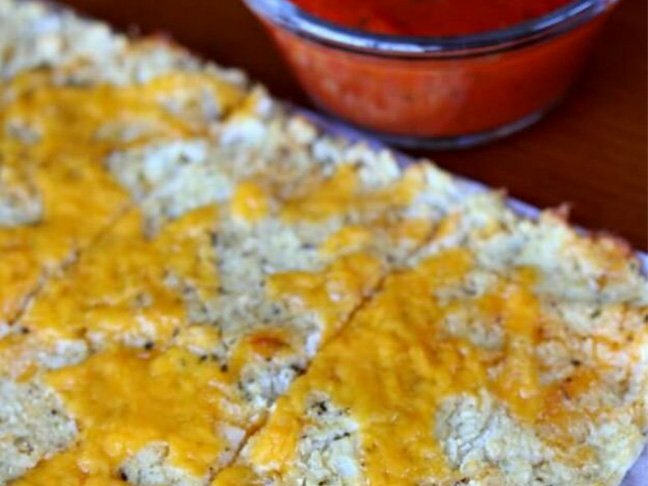 These cheesy cauliflower breadsticks are shockingly good. They start with cauliflower that has been pulsed into a rice-like consistency and then “steamed” in the microwave to release moisture. After the moisture is squeezed out (this step is essential to ensure a crisp result), the cauliflower is combined with egg, cheese, and seasonings and pressed into a pan and baked. I love to serve these breadsticks with marinara sauce. Also, you can bake them thin if you want them more like a cracker or bake them thick if you like more of the bread-like consistency. 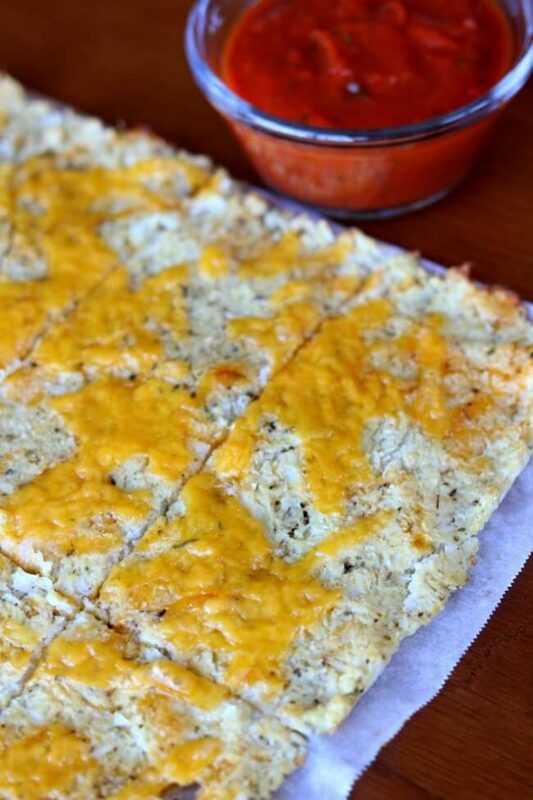 Want to make your own gluten-free cheesy cauliflower breadsticks? Follow my recipe below! They taste like the real thing. Step 1: Wash the cauliflower, discard the leaves and cut into florets. Working in batches, place the cauliflower into the food processor and pulse until it resembles a rice consistency. 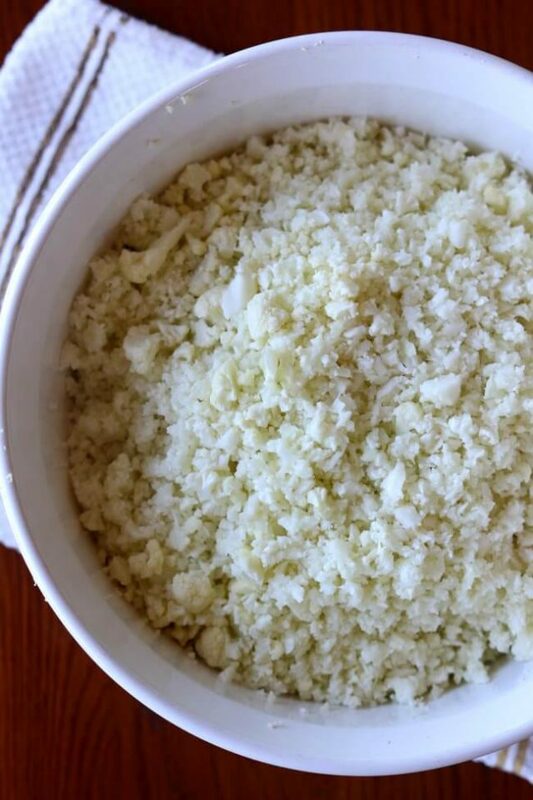 Step 2: Place the cauliflower rice in a microwave safe bowl and microwave for 10 minutes on high. Let the cauliflower sit for 10 minutes and cool. Step 3: Pour the cauliflower into a bowl that is lined with a cheese cloth. Fold the cheesecloth by the ends and squeeze the liquid out of the cauliflower as hard as you can. This is really important. If you don't get enough liquid out the bread sticks won't work. You should be able to squeeze out one cup of liquid. Step 4: Place the squeezed cauliflower into a bowl and add in the Italian seasoning, salt, pepper, 1/3 cup cheddar, 1/4 cup Parmesan and the egg. Stir until well combined. Step 5: Line a jelly roll pan (10 x 15 inch pan) with parchment paper. Place the caulflower dough mixture onto the parchment paper. Using your palms spread the caulifower evenly over the pan. Step 6: Bake for 20 minutes in an oven that has been preheated to 450 degrees. 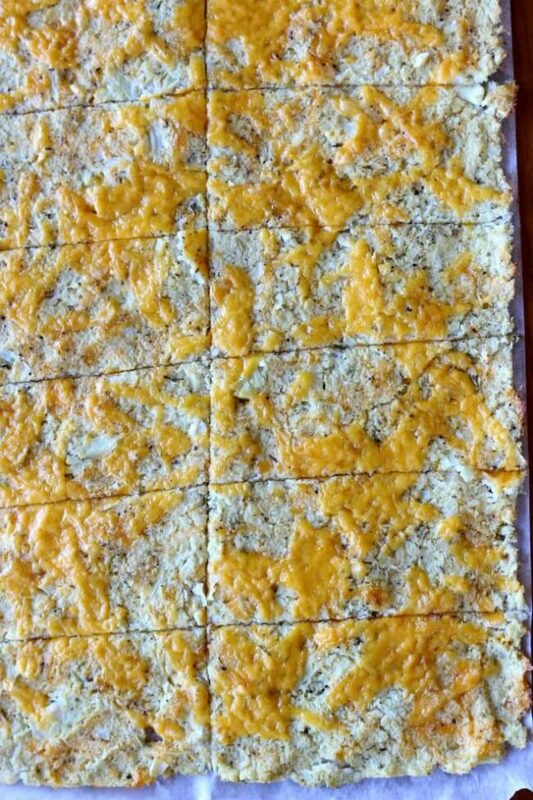 Sprinkle the rest of the cheddar evenly over the cauliflower and bake for an additional 5 minutes, until cheese is melted. Step 7: Let the cauliflower cool for 10 minutes before slicing. Use a pizza cutter to slice into rectangles. 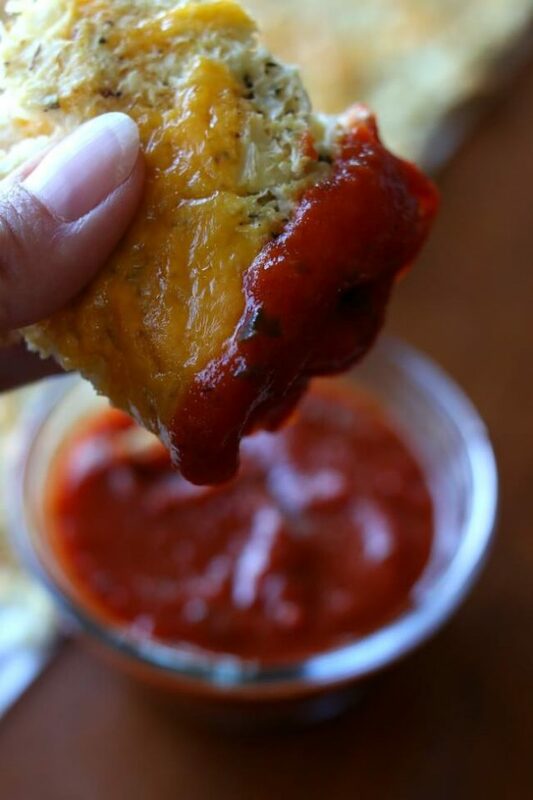 Serve with marinara or pizza sauce.